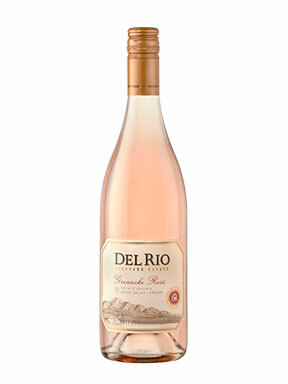 This rosé’s elegantly strawberry pink color was achieved by 48 hours of skin contact at 40°F before being gently pressed and allowed to ferment in stainless steel tanks. Upon completion of primary fermentation, the wine was racked and aged on fine lees to further develop its complexity and highlight the bright fruit flavors that this wine boasts. In order to retain maximum flavor and body in balance with clarity, this rosé underwent a light filtration prior to bottling. Our 100% estate-grown Grenache Rosé delivers a sophisticated nose of exotic fruits and delicate rose blossom, leading to intense and vibrant notes of strawberry, melon, grapefruit, and lemon zest. These flavors are balanced with an elegantly structured mouthfeel, and a refreshing stony minerality to finish. This balanced wine is just as at home on the back porch as it is in the dining room!